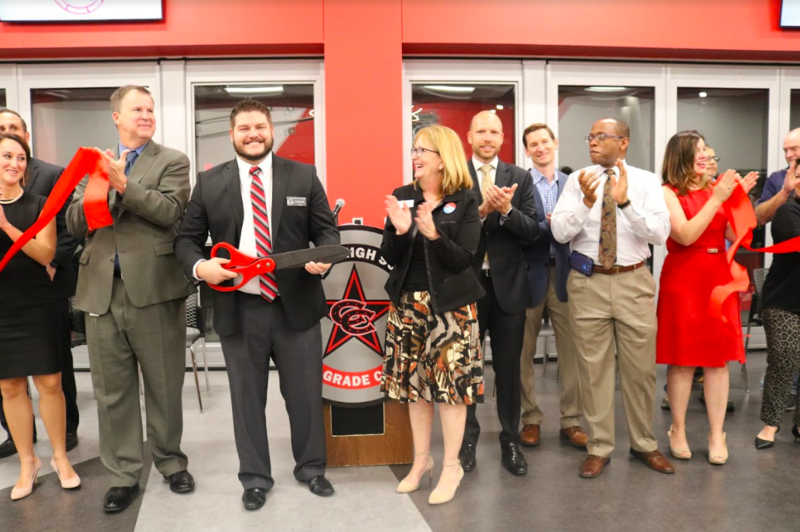 CHS9 Principal Cody Koontz cuts the red ribbon with Coppell ISD Superintendent Brad Hunt and other Board of Trustees members to signify the opening of the Coppell High School ninth grade campus. 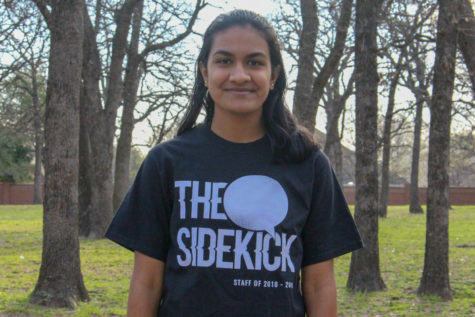 This new ninth grade center was a result of a remodeling of the former Coppell Middle School West. CHS9 from misuni k on Vimeo. Since the announcement of a new high school campus two years ago, the spotlight has been put on CHS9. The campus focuses on ninth graders and providing a secure environment for them, away from the upperclassmen. At CHS9’s official grand opening on Wednesday night, it was evident why and who is was for. 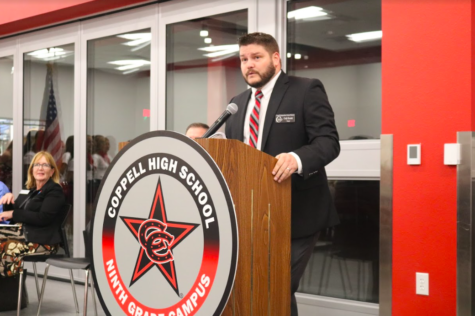 The night featured the choir, band, cheerleaders and Lariettes standing alongside campus administrators and Coppell ISD Board of Trustees to welcome visitors and give them a taste of the campus. 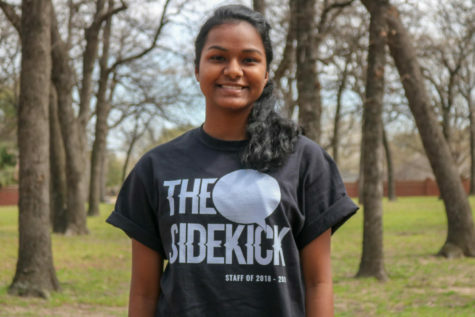 Furthermore, there were speeches made by Koontz, Board of Trustees President Tracy Fisher and September student of the month Mihir Chaudhari. Although the campus has been open since August, it has not been officially open to visitors such as parents or the public eye. The campus underwent many changes over the summer so it could transition from the former Coppell Middle School West to CHS9. In addition, the opportunity provides for people to come together and enjoy the progression of CISD. Parents and students are pleased with the renovations that the school went through which makes the campus very advanced and modern. CHS9 Principal Cody Koontz stands at the podium to address the creation of CHS9 and his expectations for the future of the school. Koontz introduces Board of Trustees member Tracy Fisher onto the stand discussing the building of the new ninth grade center.